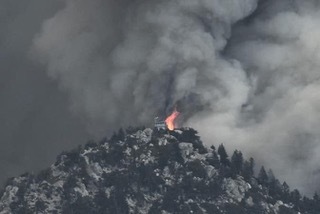 Tahquitz was a working fire lookout until the end of the 1993 fire season and reopened October 1998 staffed by volunteers. The hike to the lookout, through the San Jacinto Wilderness offers some of the most beautiful vistas in Southern California including the Salton Sea. 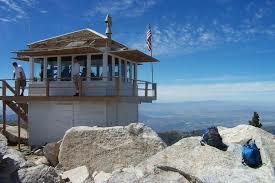 Tahquitz Peak Lookout at its elevation of 8,846 feet is the highest lookout in the San Bernardino National Forest. It is also the forest’s longest continuously operated station, serving some 77 years, and is the only lookout located inside a Wilderness area. In the San Jacinto Wilderness, all work must be done with regular hand tools. Due to its wilderness location no power tools, not even cordless, are allowed. 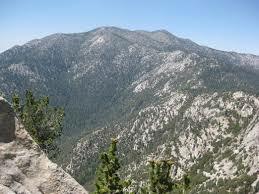 The origin of Tahquitz’s name is derived from the Cahuilla god Tahquish who believe the peak to be the god’s home.